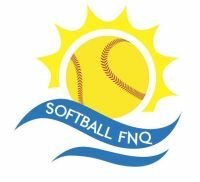 It was a team thrown together at the start of the FNQ Softball season. Featuring players from three clubs - Strikers, Hawks and Steelers - and a mix of junior and senior players, the team christened Stawkers took the field to ensure those players got to play top-level softball, as well as guarantee a competitive division for the region’s top softballers. Stawkers were more than competitive: they won the Softball FNQ Division 1 title, beating arch rivals CSWE 1 Redsox 8-7 after seven innings. This is how they did it, through the eyes of coach Rob Erskine. Stawkers softball team pulled off a thrilling victory over arch rivals CSWE 1 Redsox in the Softball FNQ Division 1 Grand Final last Saturday, winning 8-7 after 7 innings. A remarkable victory by a team consisting of players, including many juniors, combined from three clubs in Strikers, Hawks and Steelers to ensure the top division of FNQ softball was a highly competitive division. Stawkers finished the season in equal top position on points with Redsox 1 and it was fitting that both teams played each other for premiership glory. Both teams were also hampered by unavailable players for the finals with Stawkers top pitcher Ellie Rundle ruled out with a broken hand sustained several weeks earlier. The Grand Final started off with Redsox dominating through strong fast pitching from Karina Connors and two early runs across home plate in the first innings at bat. Stawkers hit back hard with junior star Syren Letizia hitting a brilliant home run off Connors pitching which inspired the Stawkers team scoring a further 2 runs in the 4th innings, lead by another junior player in Sam Sania. Redsox responded hitting in a further 5 runs over 4 innings and taking a commanding 7-3 lead into the 7th and final innings. With Stawkers starting to gain confidence and momentum batting against Conners pitching, Redsox made a tactical pitching change introducing Sonya Fleischfresser to the plate. Stawkers come out all guns blazing with the bat in their final turn at bat with James Minniecon, Sam Sania, Joyce Lester, Jasmine Sichter and Yuka Shiroma all crossing home plate to score 5 runs and hit the lead 8-7, leaving Redsox shell shocked. Redsox despite lead-off batter Brianna Papa gaining 1st base on a walk could not score the extra run to force a possible tie-breaker and Stawkers pulled of an amazing against the odds victory. James Minniecon (Centre Field) took a brilliant running catch at full stretch off a Karina Connors outfield hit to retire the Redsox inning and seal the thrilling victory for Stawkers. Stawkers coach Rob Erskine was very proud of his team’s ability to never give up the fight and delighted with his teams’ late batting serge and defensive pressure against strong pitching. “Our pitcher, veteran former Australian catcher and captain Joyce Lester, very much a part timer on the plate, was instrumental in controlling the strong Redsox batting team by throwing slow spinning strikes in the right areas and had a great game overall backed by the team’s strong defence,” he said. 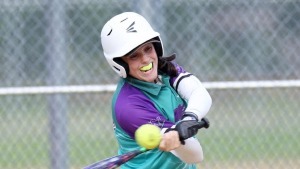 Junior player Syren Letizia (pictured) who played third base and was crowned player of the final, was outstanding both in the field and batting, as she combined with fellow junior Jasmine Sichter at first base for eight put outs. The entire Stawkers team played as a team with all players contributing to their amazing victory. For Redsox, Karina Connors pitched strongly for most of the game and was well supported by Brianna Papa at second base who took some classic catches to deny the Stawkers batters on numerous occasions. Stawkers look forward to next season with some exciting new playing prospects expected to boost their team. In the Division 2 Grand Final a strong batting and pitching performance by Hawks 1 saw them overpower Hooters and win 16-5, while the strong under 14 Hawks 2 junior team eventually proved too strong for 2 Hot Chillie Strikers 10-2.